Born in Osaka on the 20th of March, 1959. Representative works: "Hybrid Child", "Kyuuketsuki Ephemera/Ephemera the Vampire" (Hayakawa Shobo Publishing). Newest works: "Kyoufu no Katachi/The Shape of Fear" (Asahi Sonorama Publishing), "Magic Point" - joint work with Kyoko Okazaki (Shoudensha Publishing). Both are in the October edition. The empire of children's fantasies are very nostalgic. Q1. 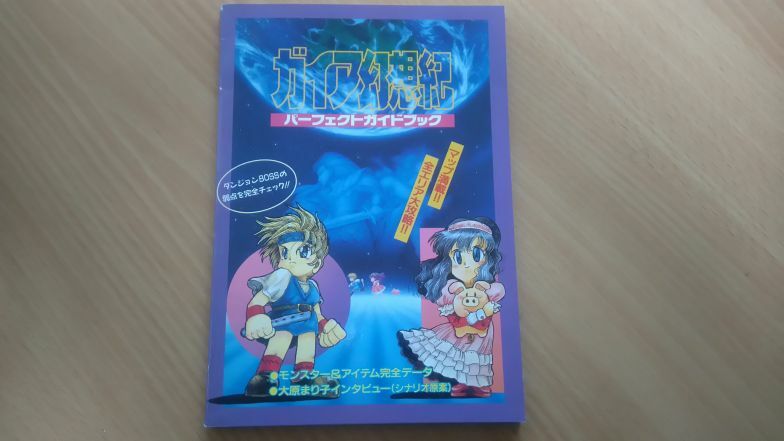 Ohara-san, which parts of "Gaia Gensouki" [Illusion of Gaia] were you in charge of? I was the scenario writer but the world-building was by Yuko Miyazaki-san from Quintet (game development company). You could say that [this part of the game] is one we both worked on. Q2. Working in games, were there any difficulties or new discoveries? This was my first experience so I didn't know what to do nor did I know left from right. It was tremendously different to the process of writing novels. But there were commonalities when it came to large (therefore failures in sales are unacceptable) projects. Q3. We heard you were aware of Stephen King's "Stand By Me"? A group of boys setting out on an adventure and passing various trials and tribulations. Conflicts with their mothers and fathers, discovery of the self, and becoming adults - these were the themes I chose. Q4. Do you have any special memories about your own childhood, when you were a girl? Q5. In "Gaia Gensouki", where there any characters you liked? And your reasons for liking them? Two female characters always come back to mind. Karen the princess and Lilly the Yousei [fairy, sprite] who does whatever she pleases. The fact that these girls choose how they wish to live their lives, I found it refreshing. Also, the sub-protagonist Rob [Lance in the English version]. The character is like the bittersweetness of stepping into the adult world. Q6. If you find yourself working in the games industry again, what kind of genre of games would you like to do and how would you go about it? I would like to make a game in which girls [characters] take a more active role, one in which they become adult women. The reality is that due to game creators being overwhelmingly male, gamers are overwhelmingly boys. And the number of [male] game creators are heading in the opposite direction. I would like to do an all-out authentic Science Fiction work. Q7. Lastly, please suggest your own work, or other novels, to those who have played "Gaia Gensouki". If you haven't read it, "Stand By Me" [i.e. "The Body"] (Shinchosha Publishing). As for my own work, by all means check out "Ginga Network de Uta wo Utatta Kujira" [The Whale that Sang on the Milky Way Network]. Haou (1993, February). "Gaia Gensouki Perfect Guide Book - Mariko Ohara Interview". 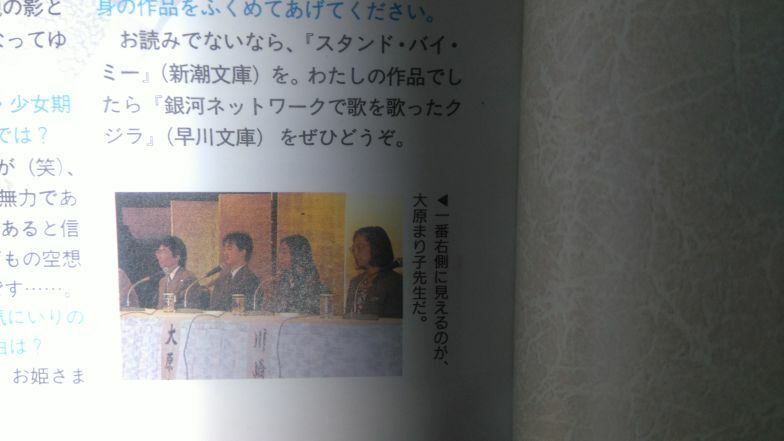 The furthest to the right is Mariko Ohara-sensei.